Thread: *NEW* Meguiar's M205 Ultra Finishing Polish Review!!!! Life is a conundrum; the more technologically advanced we become the better, right? Well if you visit car shows, many of the participants and on-lookers would beg to differ. Step back to the 1960’s and 1970’s when cars were simplistic and had a minimalist approach. Compared to modern cars, the creature comfort of the old 65’ Mustangs or 57’ Chevy’s, are extremely minimal. But after looking under the hood of a modern vehicle and recognizing that one needs a degree in computer engineering as well as a mechanic diploma just to work on it, one finds oneself longing for simpler times where changing an air filter did not mean messing with a mass air flow sensor! But there comes a time when science and modern technology does make a big difference! 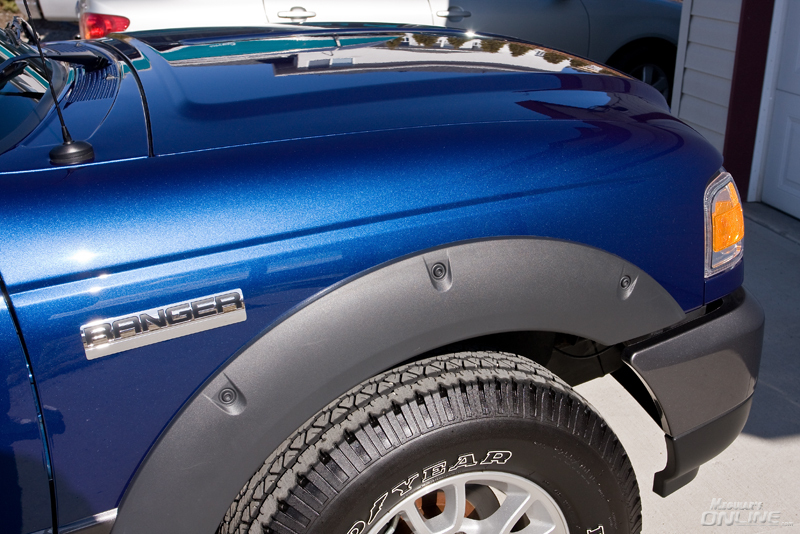 Enter into the era of what Meguiar’s calls Super-Micro Abrasive Technology or SMAT’s. The SMAT are a non-diminishing abrasive which work as you work. 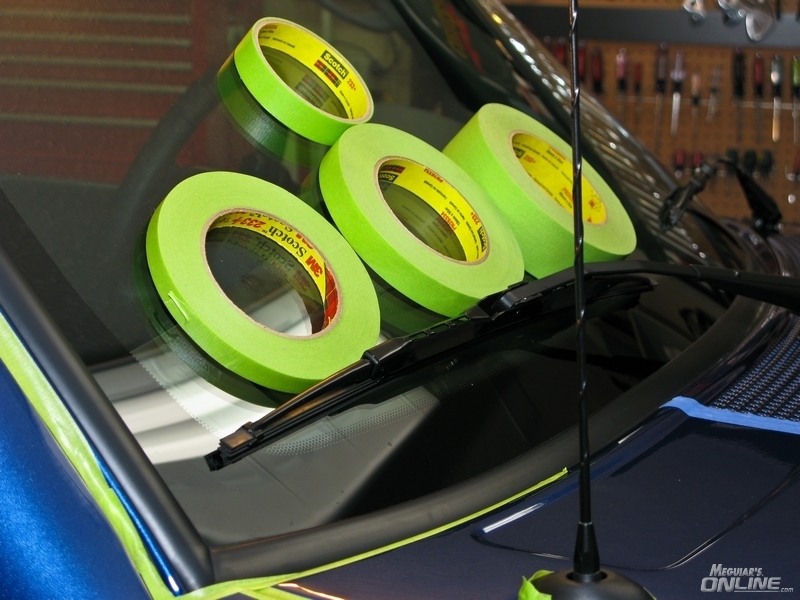 Unlike diminishing abrasives which break down throughout the buffing process, the SMAT’s do not break down and continue to work during the buffing application process. The end result is a class leading finish with permanently removed swirls and marring. In previous reviews of products using differing forms of SMAT’s, I have already covered Meguiar’s M105 Ultra Cut Compound and Meguiar’s D151 Paint Reconditioning Cream. *New* Meguiar's D151 Paint Reconditioning Cream Review!!! Now Meguiar’s has come out with another tour de force: Meguiar’s *New* M205 Ultra Finishing Polish! Meguiar's M205 Ultra Finishing Polish!!! Meguiar’s *New* M205 Ultra Finishing Polish (M205 UFP) is a second step designed to follow Meguiar’s M105 Ultra Cut Compound. 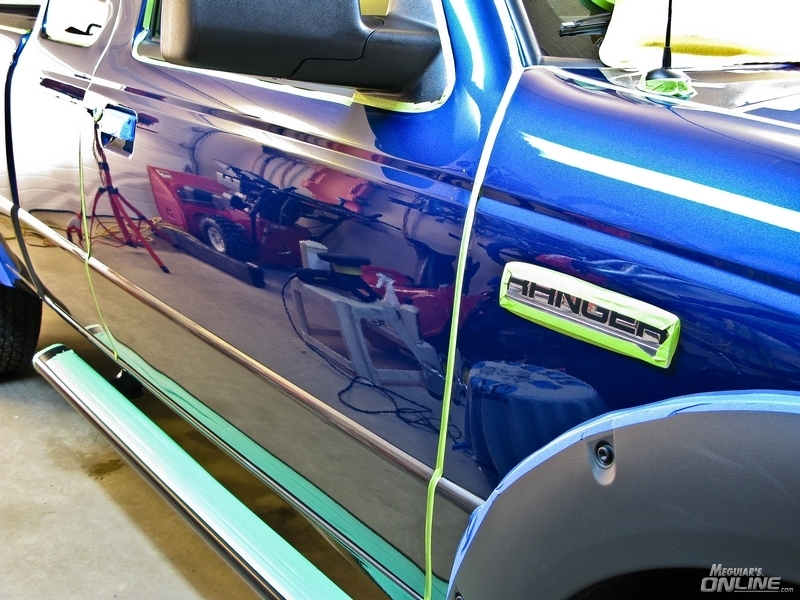 This VOC compliant formulation allows easy machine buffing, and even easier wipe off of residue. Moreover, it has a similar aggressiveness to Meguiar’s M80 Speed Glaze, but uses the SMAT’s which allows the M205 to leave an incredibly clear finish. If there is any micro-hazing created by the M105, the M205 will easily remove it, again making the finish crystal clear. When I heard that Meguiar’s was coming out with a follow-up step after M105, I was intrigued! Knowing the success I have had with the M105, I just could not wait until I could my hands on some. Meguiar’s sent me a bottle that was pre-production in labeling only, but the contents were exactly the same as the production M205. Upon opening, I noticed that the M205 was white in color. It has the usual Meguiar’s compound smell, which is neither obtrusive nor overwhelming. Maybe I have been at this too long, but I actually enjoy the smell of Meguiar’s compounds and polishes! The white liquid is far thinner in consistency compared to M105 or D151 (which is very thick!). Though I use D151 a lot, my one issue is how hard it is to pour out of the gallon into a secondary bottle because it is so thick. Not so with the M205! 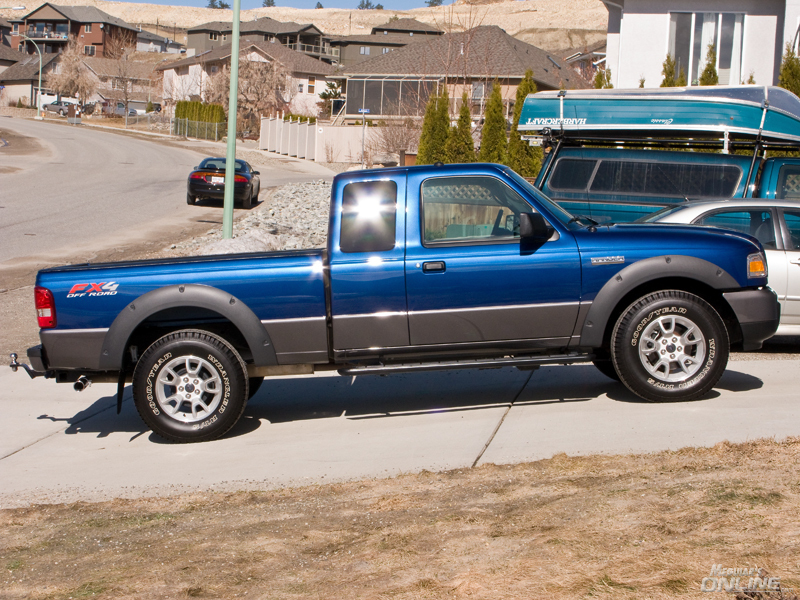 To preface, I decided to test the new M205 on my 2008 Ford Ranger (I still have my F250 V10 but I am using that for the testing of other products) that is in excellent condition. 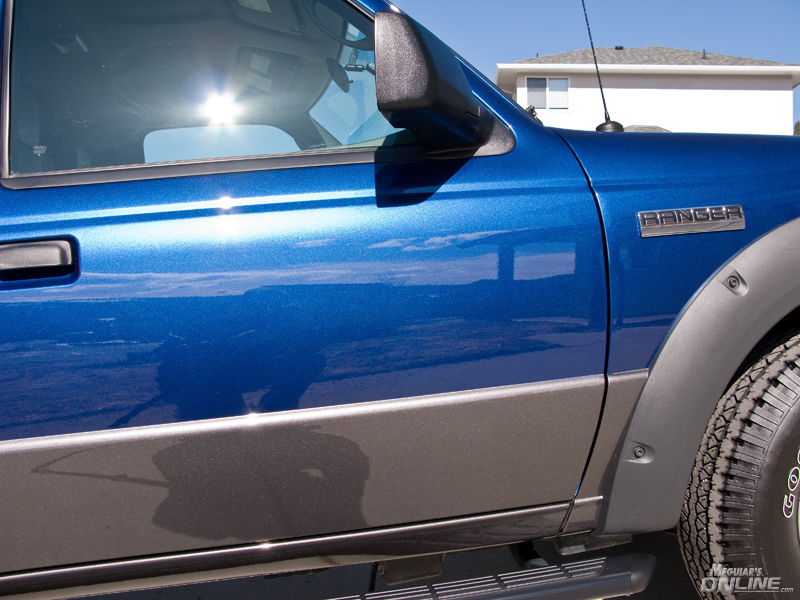 The truck had not been polished since October/November and has gone through a particularly nasty winter this year! 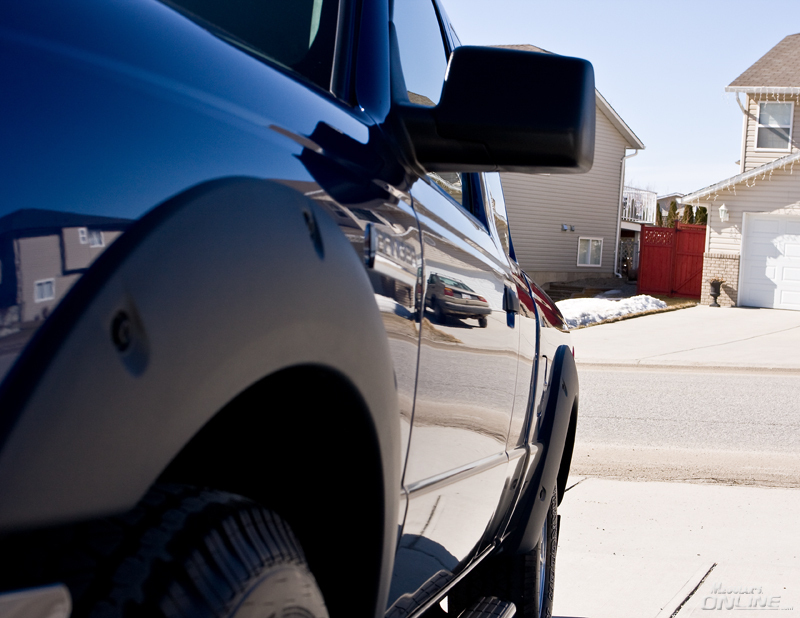 Unfortunately, when winters are harsh, the roads are usually mucky leading to a profoundly dirty truck. Having a dirty truck parked outside is like a magnet to the “wash me” taggers. Sadly, some young individuals decided to write in the dirt scratching the paint in many areas. 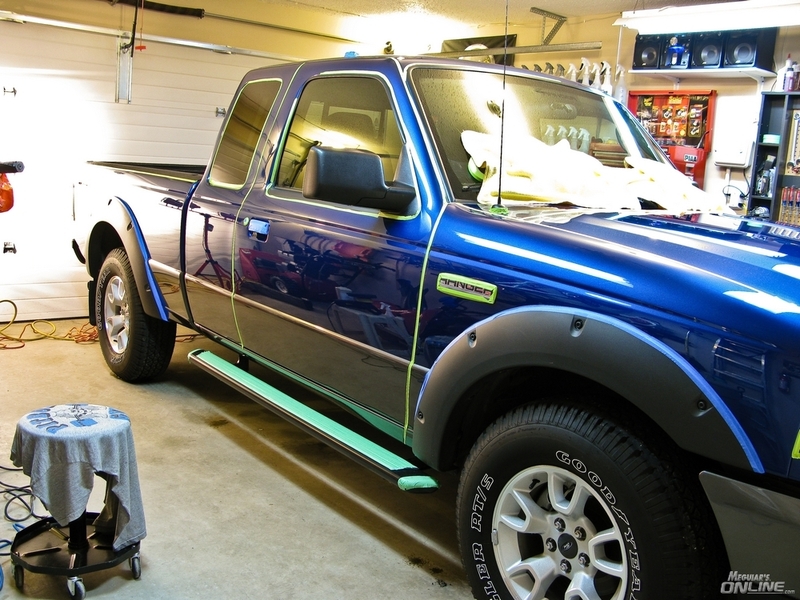 As a result, I had to feather sand the deeper scratches and then do a rotary buff-out on the truck for about 8 hours. This was done only in certain areas, so the rest of the truck still needed to be detailed; hence, M205 was chosen for the job. Because most of the deeper “wash me” marring was already removed with the M105 (this was after testing several compounds in order to use the least aggressive product necessary to do the job), the un-detailed areas had only minor marring and scratching from the winter, thereby making it a great test of M205’s SMAT ability! My good friend Kevin Brown told me that “M205 is the real deal!”, and I am here to say, he was not kidding! 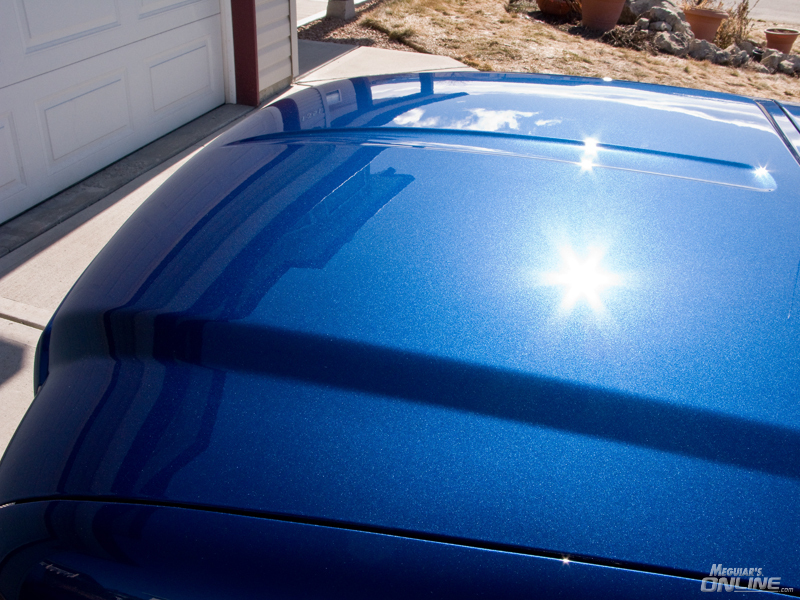 Meguiar’s M205 is an excellent light cleaner polish that leaves the paint crystal clear! After priming the pad with M205 (Using Kevin’s Method, I worked M205 by hand into each pad, priming it before using it) I first used it with the rotary and the W-8207 pad; the product provided enough work time to easily work into the surface as the product was not greasy or gummy. The paint came out crystal clear with a deep rich gloss! 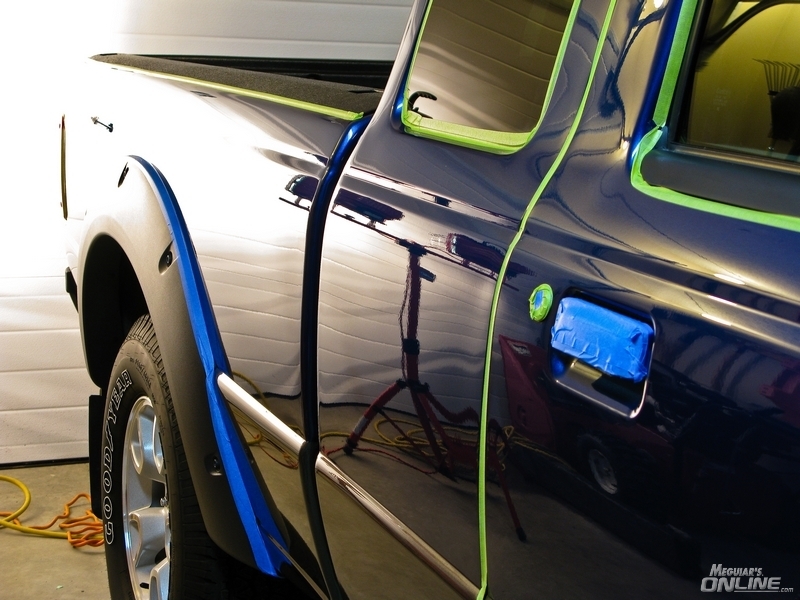 I would have finished the truck this way but I wanted to try it with the Dual Action Polisher (Meguiar’s G-110) as I am certain many people will use it this way. With the W-8207 and W-9207 pads primed with M205, I proceeded to polish an 18” x 18” area with the G-110 set to speed 5. What I discovered is three fold. First, a little product goes a long way! Since M205 uses SMAT’s, I could keep buffing a lot longer than I normally would. However, if I buffed too long, it made the M205 a little more difficult to remove from the paint. Once I found the “sweet spot”, there were absolutely no problems at all! Second, I discovered that different speeds and pressures made a big difference in how the M205 performed. The M205 seemed to like the higher speed as well it liked heavy downward pressure on the DA. You want to keep the G-110's pad turning, but the pressure would be classified as moderate to heavy. From using the M105, I have discovered that the new SMAT’s seem to work best this way and the new M205 was no exception. Third, with the new SMAT’s the pads need to be cleaned often. I always clean my pads after every 2 panels regardless of compound, but with the M205, I found that cleaning the pads more often (after each panel) and more thoroughly, the M205 performed better. I would use a towel to “clean on the fly” and I would use an air compressor to further clean the pads of any dried product. Once the pad was too saturated I switched to a clean pad. Using either the rotary polisher or the DA polisher, the new M205 would remove light scratches and marring. It does have its limits being a finishing polish, but I was still amazed at what it could do! What impressed me most is how clear the paint finish looked afterwards! I used the M205 with the W-8207 Polishing Pad first and then went over the same area again with the M205 and the W-9207 Finishing Pad. 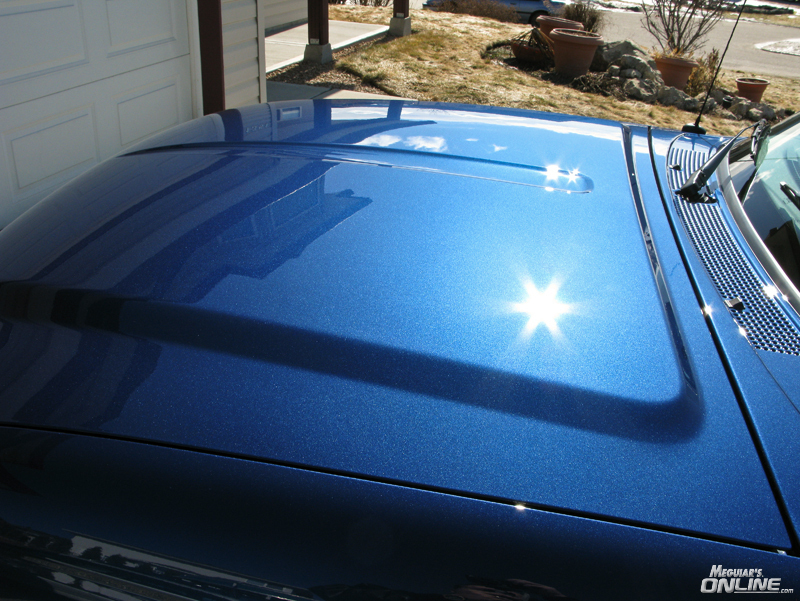 After each buffing step, the finish got noticeably better and better! In the end, I find it hard to find anything to I dislike about the M205! When I do reviews, I always post the good with the bad. But in this case, I did not find anything about the M205 that I disliked. The cost is a little steep, but with the way it performed, I find it more than worth it. I will post pictures below of the results as pictures will show you the resultant finish far better than I could ever describe it! 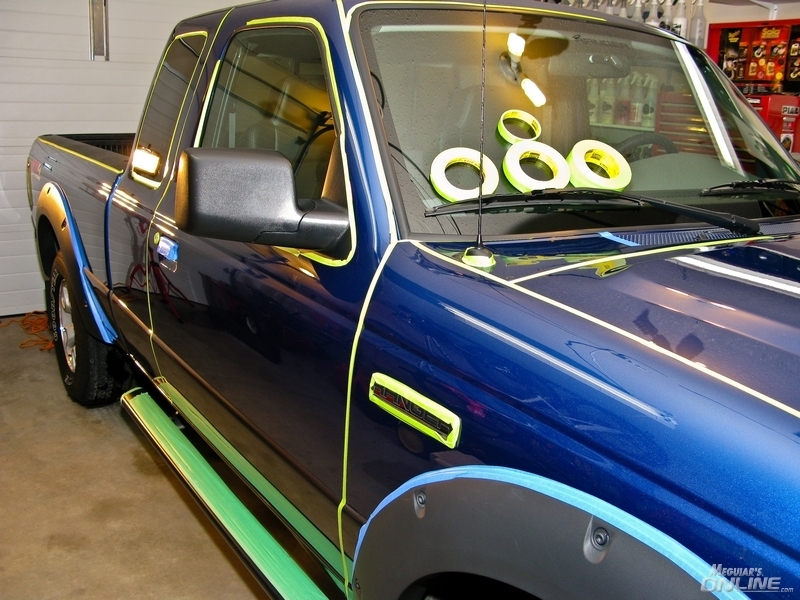 Here is the truck is being taped up in order to prevent any accidental splatter from entering the door creases etc. I usually do not sling product with the rotary, but all it takes is one slip and you have added a lot more work to the detail! I use 3-4 different sizes of 3M masking tape. Here I am priming the pads, aka the Kevin Brown way. What that means is that I am priming the pad with M205 instead of using M34 Final Inspection or another Quik Detailer. I want an even but thin coat of M205 to cover the entire pad. I want the product in the pores of the pad but not too much as that would saturate the pad, thereby reducing the pads effective cutting ability. With my hands, I work or massage the product into the pad and then proceed to buff the paint! By this point all of the Rotary and DA polishing has been completed! The resultant finish looks like a mirror with a deep and rich clear gloss!!! This is about as full sun as you can get! At the end of the day, after all of that hard work in making that paint look so good, it is best to drive and enjoy the vehicle!!!! 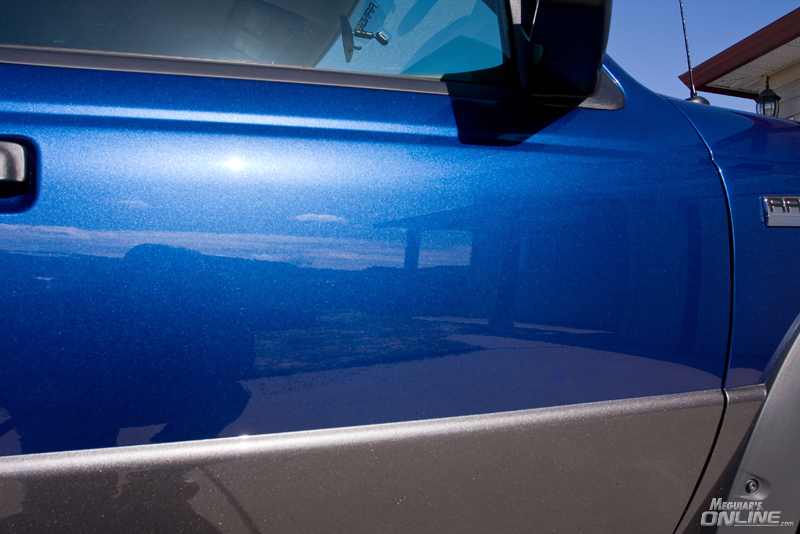 Re: *NEW* Meguiar's M205 Ultra Finishing Polish Review!!!! Awesome review Tim! I can see that a lot of time went into it as well! Thank you! I would love to see you do a write up on feather sanding. I know Mike did one a while back, but I would also love to see one done using your techniques and style. Another great review Tim. Well written, very detailed and valuable insights from your first hand experience based upon years of perfecting your craft. Using either the rotary polisher or the DA polisher, the new M205 would remove light scratches and marring. It does have its limits being a finishing polish, but I was still amazed at what it could do! M205, as well as M105 are now the top dogs in this industry everyone else will benchmark off of and try to catch-up to but M205 is a finishing polish designed to be used after all the serious correction was performed by M105, so keep that in mind and if you ever find M205 not working effectively or fast enough for removing the defects in the project you're working on then maybe try substituting a more aggressive product. Always do a Test Spot first and dial in your process before tacking the entire project. What impressed me most is how clear the paint finish looked afterwards! Creating the most clear finish possible during the cleaning step is one of the secrets to creating a true show car finish. 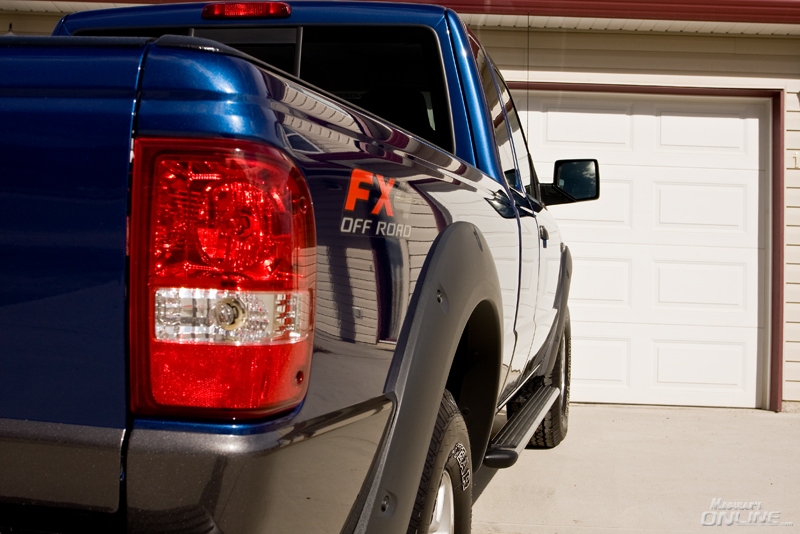 Then afterwards choosing and using a quality wax or paint sealant will lock in all your hard work and hopefully take your end-results to an even higher level. Nice photography work setting up and framing all the shots to accurately tell a story. Anyone striving to learn the art of creating a great "Write-up" can use this as a template. I totally agree with you on M205. When combined with Kevin's pad priming method, the finish and clarity are hard to beat! What a delight to have another Tim Lingor review. As always, this review of M205 is thorough, honest, and instructive. Thank you, Sir! awesome work Tim! you are the man! Your Ranger looks great and you are a very talented person. 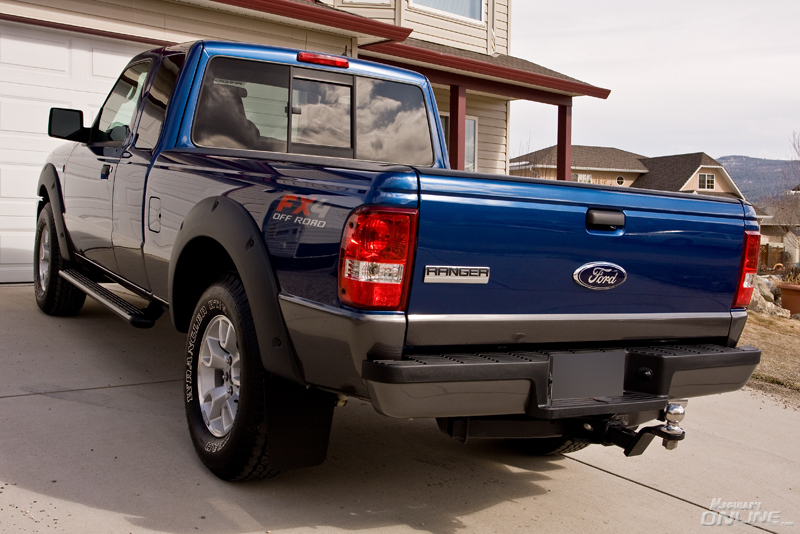 Is your Ranger the exact same color as your F250? As always a great review and write up! I always look forward to them as the most complete and admire the fact that if anyone still has a question about your products and/or processes you will be there to provide a complete and accurate answer. 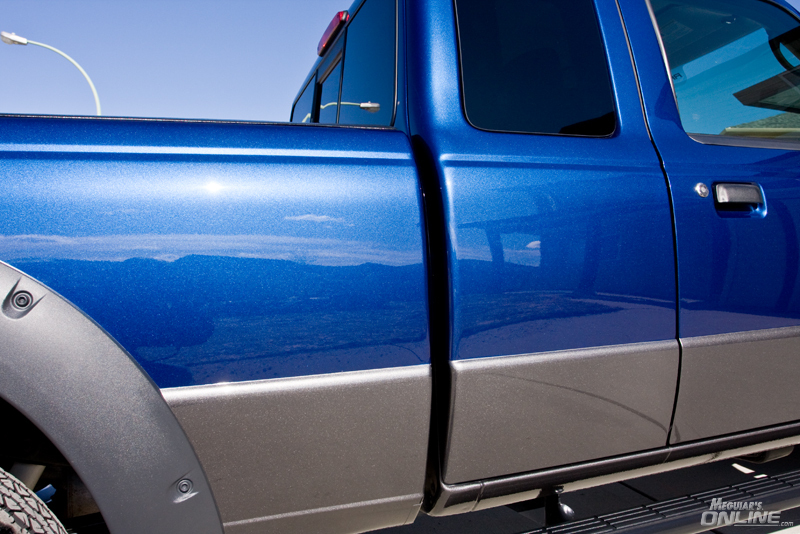 Your truck looks great as it always does. I am especially interested in the Kevin Brown method of priming the pad. Seems like it worked out great for you. Thanks for taking the time to share a complete review and take the pics. Meguiar's NEW Hot Rims Chrome Polish Review!